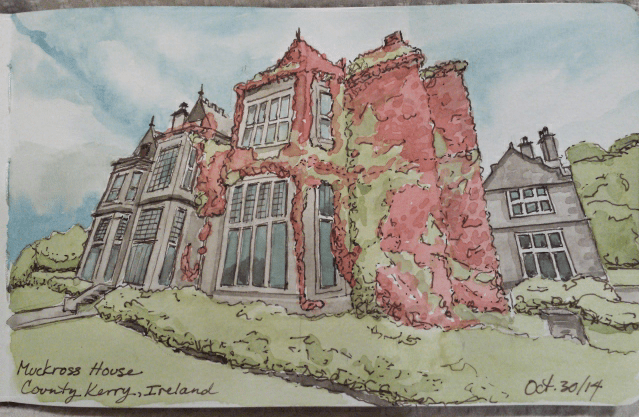 I participated in the Virtual Paintout Ireland this month. The area to focus on was County Kerry. It was very easy to “wander” the streets and pathways for hours through Google Streetview this month. It seemed every time you turned a corner that there was another beautiful lake, a fine old pub, stone cottages, and little churches overlooking another pastoral scene. I chose another tall building, maybe I’m attracted to the distortion of the upward angle. Muckross House is located in Ireland’s Killarney National Park and was built in 1843 for the politician Henry Herbert. 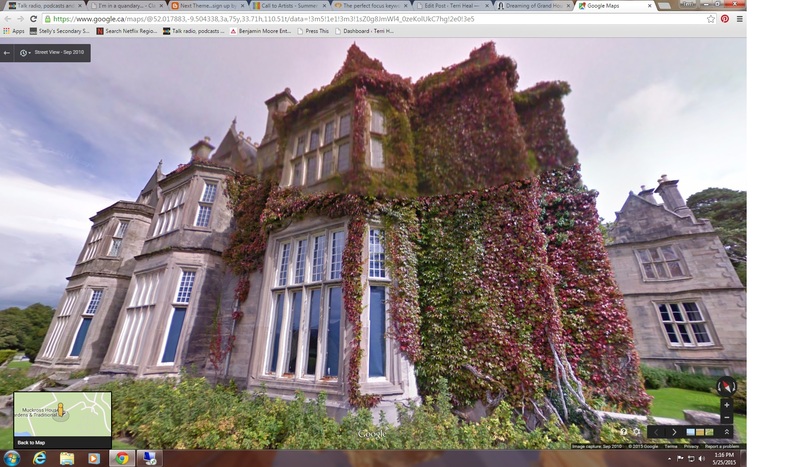 Muckross House, County Kerry Ireland as seen through Google Streetview. Previous Post Previous Back to Sketchbook Skool Homework! Gorgeous painting ! Feels so elegant.